Jose Mourinho and Marco Materazzi – a bond to rememberWatching Jose Mourinho’s sneering, indifferent press conferences, it is easy to think of the Portuguese as a cold-hearted, hardened taskmaster who is as ruthless as he is brilliant. And perhaps the two traits do go together. But what cannot be overstated is his superb man-management, a consequence of which is a number of very close relationships he shares with his former players that have sparkled over the course of his distinguished career.What Mourinho – and indeed, any manager worth their salt – realise is that as much as the football world has morphed into the most lucrative business in professional sport, at the heart of it all is the ability of a leader to inspire his charges. Too bad nobody ever mentioned this to Andre Villas Boas.It is then only natural that in this age of the managerial merry-go-round, we have seen managers sometimes repeatedly sign their blue-eyed boys. Signing a known quantity means the manager has a perfect understanding of what said player brings to a team, and the new manager already has a reference point in an unfamiliar team.There is mutual trust and respect, and the signed player feels a highly personal motivation to not let his boss down. But these relationships do not hinge on longevity or even a manager re-signing a preferred player – witness Mourinho sharing a tearful goodbye with Marco Materazzi, after the former’s departure from the Inter Milan hotseat. Yes, that Marco Materazzi.And on that gut-wrenching note, let us take a look at some noted relationships that have blurred the line between employee and boss in the wonderful world of football. Nobody will need reminding of that horrible day in Stoke, when Ryan Shawcross’ horror tackle threatened to end Aaron Ramsey’s career. And no, that is not an understatement – former Arsenal star Eduardo has never quite looked the same since he went through his own personal hell, and the less that can be said of Abou DIaby, the better. Shawcross himself could see the horror of what he had done, and was distraught at the sight of his fellow professional. But things were far from over for the Welshman, with his return from the long lay-off only the beginning. The psychological scars notwithstanding, the prodigy was showing none of the drive and clarity that saw Wenger splash £5 million for his services all the way back in 2008. 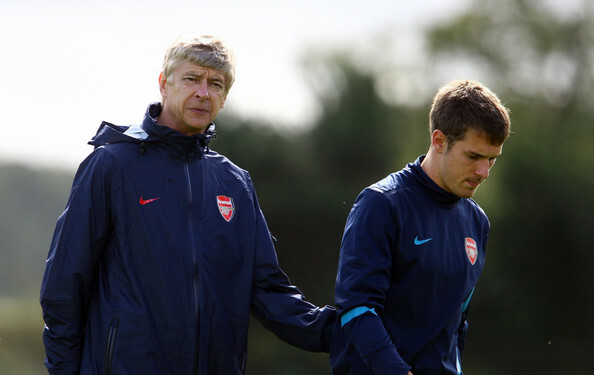 Wenger revealed that a heart-to-heart with Ramsey was the spark that re-ignited his career. The 2013/14 season saw the Premier League taken by storm by Ramsey’s world-class run of form. He was the frontrunner, along with Luis Suarez, for the Player of the Year, until an untimely injury once again took him out of the limelight. But things ended relatively well for the Welshman, with him scoring the winner in Arsenal’s dramatic win over Hull City in the FA Cup final. This season, however, has seen a Ramsey who has tried to do too much, and Wenger has implored him to return to the simple game that served him so well last season. Ramsey, on his part, has declared his undying support for the man who resurrected his career, amid calls for Wenger’s head this season. It looks set to be a wonderful relationship that will only grow in the years to come, with the mutual respect that the two share becoming a cornerstone for Arsenal to build their credentials as a European superpower once again. Here we are again, with that master of the player-manager bond. If Mourinho were to stand up today and call out to the footballing universe, announcing his intentions to start a team, “Mourinho FC”, leading names from a number of European heavyweights would tear up their contracts and join him without a moment’s hesitation. For all intents and purposes, the Chelsea FC of today is “Mourinho FC”. And in the limelight is a 36 year old veteran who has ruled over Stamford Bridge for years previously, channelling Mourinho’s spirit of getting things done, regardless of the cost or method. Didier Drogba’s return to the Bridge this year has been hailed by everyone of the Blue persuasion, and Mourinho was no exception. This is what the boss had to say – “First of all when he came, it looks like he never left the club. It was so normal, nothing new at all because he knows everybody and everybody knows him. He was ever present even when he wasn't here. Chelsea belonged to him, even in the last two years when he was away playing in a Galatasaray and Shanghai shirt. So it looks like he just went for a short holiday and came back." It certainly looked like he was never gone when they were playing Tottenham in mid-week. Drogba’s sheer strength was on view to take advantage of Hugo Lloris’ poor clearance, muscling the defense out of the way as he knocked in Chelsea’s second on the night. Just like old times. Mourinho’s affection for the Ivorian is obvious, and the two serial winners look set to take Chelsea home this year, despite the chip on Alan Pardew’s shoulder, now that he’s the one who’s stopped production of “The Invincibles Part 2 – This time the town is painted Blue”. 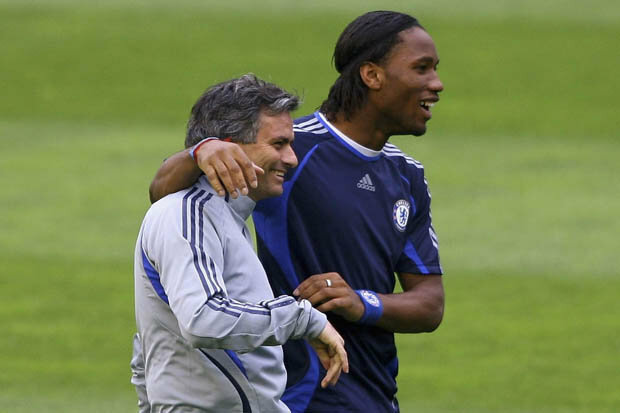 There was a time when Mourinho was faced with a lot of criticism for signing the then unheralded Drogba from Marseille for an eye-watering £24 million. The Special One had slyly asked doubters to judge the Ivorian when he was done at the Bridge. But perhaps the greatest tribute to the little man can be seen every weekend when Manchester United take to the field. For all of Fellaini’s huffing and puffing, Carrick’s stop-start evolution, and Rooney’s playmaking, there can be no doubt that the Red Devils have failed to replace Scholes’ presence in midfield. But then, perhaps that was never possible. The soft-spoken Scholes was very different on the pitch – instinctive, brash and ready to take on all comers. Allied with his supreme vision and eye for goal, he was an all-action midfield presence who was as likely to play a 70 yard pass, as he was to dive in for yet another badly timed challenge. Sir Alex was constantly surprised by his abilities and sheer mental strength, and has indeed admitted that his first impression of Scholes was that he was too “small” to succeed at the top. The Scot nurtured the prodigy’s game as the years wore on, with Scholes taking up a far more advanced role to form a great understanding with Ruud Van Nistelrooy in the early 2000’s. Towards the end of his career, Scholes operated in the deep-lying role that Andrea Pirlo has made famous today, what with his uber-cool beard and flowing mane making his control of the game seem ever more complete. Although not possessing that very Italian suaveness, Scholes’ intelligence and ability to take control of the game were just as complete. Not many players are implored to come out of retirement by Sir Alex at the ripe old age of 37, and what an inspired decision it was. He retired for a second time in a blaze of glory after Manchester United cantered to the League title in 2013, once again content to remain in the shadows as the world cooed over Sir Alex’s own swansong. And isn’t that just the Scholes we know and love? The ultimate wheeler-dealer in the transfer market, Harry “Houdini” Redknapp himself, has a marked preference for re-signing players. Rio Ferdinand, Jermain Defoe and Niko Krancjar will all nod in devoutly in agreement. In fact, two of the three currently play under the old-timer at QPR, with Redknapp now actively trying to convince Defoe to end his American adventure, and come home to join the merry gang. While these three are accomplished, technical players who would, at the top of their games, get a nod from any of the game’s connoisseurs, Peter Crouch is not quite so fortunate. Purists would turn their noses up at the sight of the gangling, awkward Crouch in possession of the ball. They would scoff at his primary use as a giant of a man who could knock down balls that would normally end up in the stands. But good old Harry is not one for the aesthetics of the game, and has shown immense faith in his fellow Englishman. 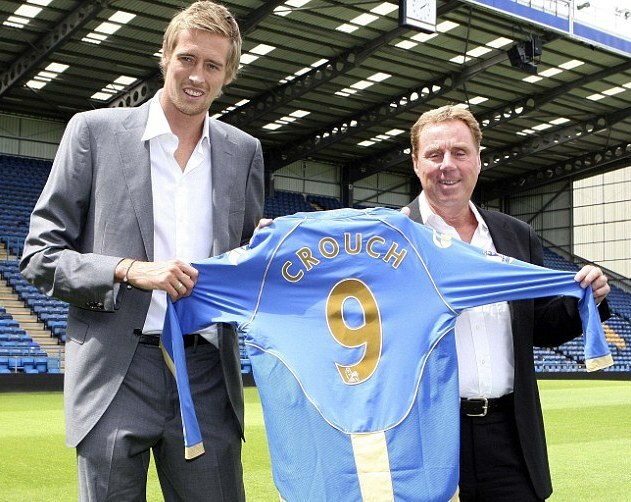 He has signed the lanky number nine twice, in his spells in charge of Southampton and Portsmouth, while also serving as Director of Football in Pompey in Crouch’s first spell there. It will come as no surprise to anyone that Redknapp made a strong push to sign the striker once again this summer. And even if Stoke City quite wisely didn’t allow the move to materialise, nobody could keep the two apart. Cue to this hilarious TV advert, starring Crouch, with Redknapp providing the voiceover. Ah, the Premier League in all its glory. The Mourinho-Carvalho relationship has been an illuminating one, certainly with regard to getting a little glimpse into what the current Chelsea boss is like in a dressing room. We have raved on and on about his tactical acumen, and told tales of his superior man-management. But those remain just words until you know what has brought about such devotion from stalwarts like Zlatan Ibrahimovic, Wesley Sneijder and a host of others. Jose Mourinho 1.0, vis-à-vis the man who arrived at Stamford Bridge all those years ago, was quick to bring with him the man who was at the heart of his Champions League winning team at Porto. Back-to-back Premier League titles stunned English football into submission, and it wasn’t just the country at large that was feeling the effects of Mourinho 1.0. The 2005-06 season saw Carvalho dropped to the bench following John Terry’s strong partnership with William Gallas. An irate Carvalho took to the media; a big no-no in Mourinho land. After lashing out at his compatriot in front of the cameras, saying he needed an “IQ test”, Mourinho proceeded to humiliate Carvalho in the dressing room in front of his mates. When talk centred around the possibility of Carvalho leaving Chelsea at that point, this was what Mourinho had to say - “I don't need to be in love with my players, I just need a correct relationship with them," he said. "But there is no chance of him leaving, especially after that interview. "No chance. You can't let a player go when he gives this kind of interview. If you do this it is easy (for players) to think that if I give an interview against the manager, I can leave." His understanding of player psychology was spot on, and the effects were immediate - Carvalho apologised publicly, and would soon force his way into Mourinho’s reckoning. 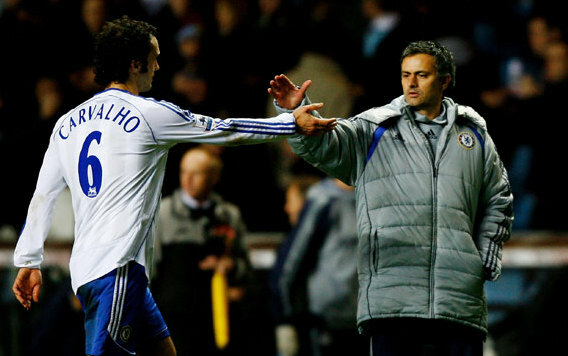 So much so that when the Special One took over at Real Madrid in 2010, Carvalho was reported as saying “If there was a possibility to sign with Real Madrid, I would go there right now swimming or running”. Turns out Mourinho was happy to pay for his flight ticket, and the then 32 year old was re-united with his mentor. In three separate spells at Porto, Chelsea and Real Madrid, the duo has won everything there is to win in European club football. Quite the poster boys for tough love, wouldn’t you say? Philosopher, visionary and connoisseur Pep Guardiola is known for many things – and developing young talent is certainly one of them. His uncanny ability to understand the games of his charges better than they themselves do has come to the fore on many an occasion. And perhaps the next one to held up as an example will be the prodigal Thiago Alcantara. Not that the young Spaniard has been turning heads lately – unless you were to pass by him on a hospital bed, anyway. His injury concerns since signing for the Bavarians have been well-documented, and Guardiola’s continued faith in him shows how highly he rates the La Masia graduate. 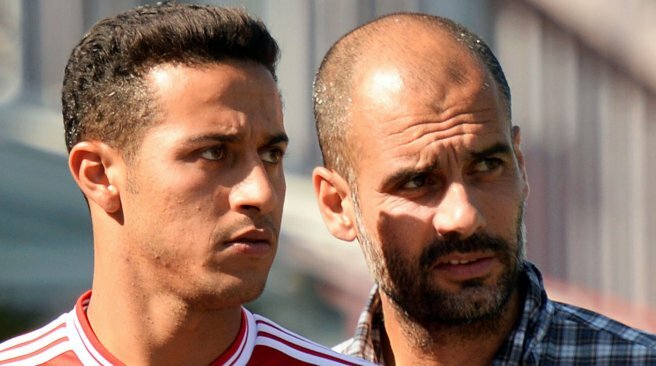 Taking over the reins from Jupp Heynckes in 2013, Guardiola shocked the footballing universe when he declared that it was “Thiago or nothing” – and not without reason. Bayern had just been crowned European champions, and to many observers, their midfield superiority was paramount to this success. Taking on board a lightweight playmaker to keep a titan like Schweinsteiger (or even a prodigal Mario Gotze) on his toes was a surprise, even if Thiago had shown glimpses of his fantastic potential in his time at Barcelona. Thiago settled in with minimum fuss, looking completely unfazed at the challenge of playing for Europe’s pre-eminent team. Guardiola employing him as a deep-lying playmaker was a surprise to many, considering how he displaced the incredibly consistent Javi Martinez, who was now shifted to the centre of defense. And even if the youngster was restricted to just 16 league appearances that season (no, it was not the damage caused by the slap), it became apparent to everyone why Guardiola had gone after Thiago with such dedication – with the Spaniard shining with both defensive and offensive contributions. They now wait eagerly for his return, knowing that it is time for the young man to take up the mantle from their traditional heavyweights, who now near the end of their stellar careers. Soon, it will be time for a new hero to stand up at the Allianz Arena, and repay the faith shown in him by the boss; who, it has to be said, has always played him consistently, right from the time he was just another next-big-thing at Barcelona. Till that day comes, however, we’ll have to be content with this moment of brilliance from Guardiola’s golden boy. 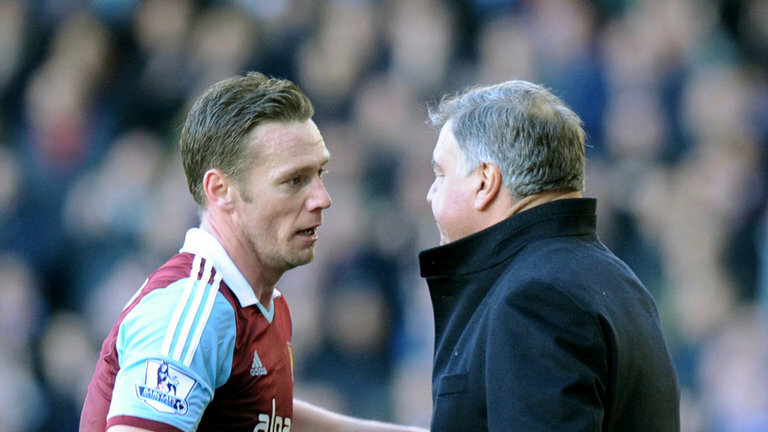 We start in the seedy underbelly of the Premier League, with Sam Allardyce’s on-going tryst with Kevin Nolan. Big Sam first noticed Nolan’s pedigree when the latter was a youth team player at Bolton, showing tremendous faith in the young lad to start with him against David Moyes’ (yes, that David Moyes) Preston North End in the crucial Championship play-off final, all the way back in 2001. Allardyce proceeded to build his team around the goal-scoring talents of the midfielder, with the pair on hand to steer the Bolton ship for almost eight years, before the boss decided to jump ship in search of silverware. They were re-united briefly at Newcastle United, although it was not Allardyce who signed Nolan to the club. He did, however, sign his protégée when he was made the boss of West Ham United in 2011, and the pair has taken West Ham from strength to strength since then. Although incidents such as this fiasco at Old Trafford could’ve been avoided, it only goes to show that the two have each other’s backs, regardless of right and wrong; which, to be fair, gets muddled up far too often in the Premier League anyway. And with West Ham rising up the table in spite of Nolan’s injury concerns, it will be interesting to see if Allardyce reverts to the good old “hoof ‘em up, knock ‘em down to Nolan” style that has characterised his teams in the past. Knowing Big Sam, I think we all know the answer to that one.